Stephen Covey joins Amerika Now during the first hour of the show to discuss his latest book, Smart Trust. During the past decade of economic crisis in this country we’ve heard a lot about all of the companies that have abused trust. We are in the midst of a global crisis of trust. But what we haven’t been hearing much about are those companies and individuals who have been prospering during these tough times, and why trust is probably the most important life and leadership skill of our time. Are you smart about trust? Stephen first established the global relevance of trust with his New York Times and Wall Street Journal bestseller The Speed of Trust, which sold more than one million copies in 22 languages. According to Covey, “Low trust was the key to the breakdown of the global economy and is now the critical key to restoring it.” In today’s networked world, trust has become the new currency–the critical competency for individuals, teams, organizations, and even countries. I’m honored and privileged to have Stephen join me this evening to discuss his latest book, Smart Trust: Creating Prosperity, Energy, and Joy in a Low-Trust World, which he co-authored with his long-time business partner Greg Link. Stephen is the Co-founder of CoveyLink and the FranklinCovey Global Speed of Trust Practice. As a much sought-after speaker and adviser on trust, leadership, ethics, sales, and high performance, Stephen speaks to audiences worldwide. He’s the New York Times and #1 Wall Street Journal bestselling author of The Speed of Trust, which is a groundbreaking, paradigm-shifting book that challenges our age-old assumption that trust is merely a soft, social virtue and instead demonstrates that it is a hard-edged economic driver that is a learnable, measurable skill that makes organizations more profitable, people more promotable, and relationships more energizing. Covey advocates that nothing is as fast as the speed of trust and that the ability to establish, grow, extend, and restore trust with all stakeholders is the critical leadership competency of the new global economy. Stephen is also the former CEO of Covey Leadership Center, which, under his stewardship, became the largest leadership development company in the world. Over the years, Covey has gained considerable respect and influence with executives and leaders of Fortune 500 companies as well as with mid- and small-sized private sector and public-sector organizations he has consulted with. His unique perspective on real-world organizational issues based on his practical experience as a former CEO has made him a much-sought after consultant and speaker. If you would like more information about Stephen and Smart Trust, please visit his website at www.smarttrustbook.com. 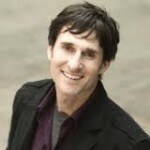 Joining the show during the second hour is award-winning singer-songwriter, professional speaker, author, and social media innovator from Halifax, Canada, Dave Carroll, to discuss his new book, United Breaks Guitars: The Power of One Voice in the Age of Social Media. With twenty years experience in the music business, when faced with a difficult customer service issue with United Airlines in 2009, Dave used his ability as a master storyteller to share his issue with the world. The resulting YouTube music video called “United Breaks Guitars” became an instant viral hit, and today over 150 million people have been introduced to his story. With significant impacts in the areas of customer service, social media, branding, and self-empowerment, Dave’s career as an entertainer and songwriter has expanded. He is now a highly sought after professional speaker, a published author, and he is increasingly being commissioned for songs for other people and organizations. He is also co-founder of Gripevine.com, an on-line customer complaints resolution platform that brings consumers and businesses together in a mutually beneficial way, resulting in improved service for consumers and improved results for companies. Dave has received many standing ovations and accolades from his speaking clients, click here for these outstanding reviews. For more information about Dave Carroll, please visit his website at www.davecarrollmusic.com. Joining the show during the final hour are Dr. Dennis Tirch and Dr. Paul Gilbert to discuss Dr. Tirch’s new book, The Compassionate-Mind Guide to Overcoming Anxiety with forward by Dr. Paul Gilbert. Anxiety is not your fault. All too often our biggest critic is the one in our heads. We tend to blame ourselves for automatic bodily functions that we cannot control, such as anxiety and panic attacks. This blame only exasperates the situation and adds more pressure to our already stressed-out minds. If you become frustrated with your anxious reactions or consistently try to talk yourself out of your anxiety, it may be time to try another approach. Drs. Tirch and Gilbert will talk about the compassion-focused therapy (CFT) model and explain how people can alleviate anxiety by becoming more aware of their anxiety and by practicing compassionate attention, a new way of focusing on thoughts that is compassionate rather than self-critical. Dr. Tirch teaches that compassionate attention leads to compassionate reasoning and behavior and ultimately, a happier and healthier life. Tonight we’ll learn what CFT is and what disorders it can treat; the evolution of anxiety and where it manifests in day-to-day life; how mindfulness and compassion are linked and improve emotional regulation; how to face your fears; and how to focus and achieve your goals. Dr. Dennis Tirch is a compassion-focused psychologist who is dedicated to the practice of awakening—both in psychotherapy and everyday life. Dr. Tirch is the Founder and Director of the Center for Mindfulness and Compassion Focused Therapy and Associate Director of the American Institute for Cognitive Therapy in Manhattan. An avid writer in psychology, he’s co-authored Emotion Regulation: A Practitioner’s Guide and also Mindfulness in Clinical Practice. Dr. Paul Gilbert is the Founder of compassion-focused therapy and is a Professor at the University of Derby in the United Kingdom and Director of the Mental Health Research Unit at Derbyshire Mental Health Trust. His books include The Compassionate Mind, Beating Depression: Inspirational Stories of Hope and Recovery, and Overcoming Depression: A Guide to Recovery with a Complete Self-Help Program. If you would like more information about both guests and CFT, please visit Dr. Tirch’s website at www.mindfulcompassion.com.